The D23 Expo is the ultimate Disney fan event. 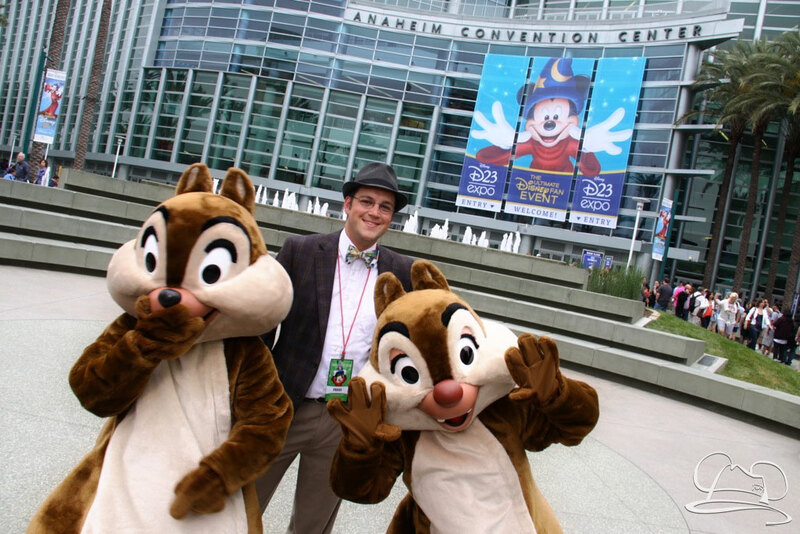 It brings together all the elements of The Walt Disney Company under one roof for one giant celebration of all that is Disney at the Anaheim Convention Center. The first D23 Expo was in 2009 and they have been returning every other year since. At the D23 Expo, Disney fans will get an up close and personal look at Disney movies (both live action and animated), Disney Parks and Resorts, television shows, merchandise, presentations by Disney luminaries, the Disney Legends ceremony, and also get a look at the Treasures of the Walt Disney Archives. These are just a few offerings that are regularly found at the D23 Expo, hosted by D23: The Official Disney Fan Club. Mr. DAPs and the DAPs Magic crew will also be attending the D23 Expo. Make sure and find them and get a picture with the team. They’d love to meet you and meet up and share a DAPs Magic button with you! DAPs Magic will continue to provide full coverage of this event leading up to, during, and after. Make sure and return regularly for full D23 coverage. Take a moment to also follow DAPs magic’s twitter, periscope, instagram, and youtube pages as there will be coverage going up on all of these platforms as well. Utilize these platforms also to find and meet the DAPs Magic team! The team would love to meet you and get to know you (and perhaps give you something? ).